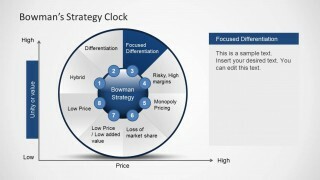 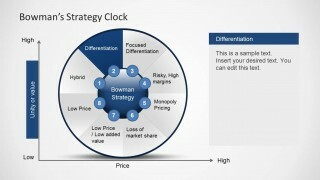 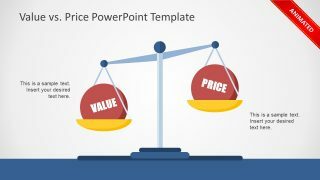 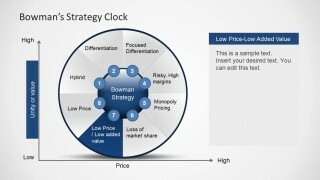 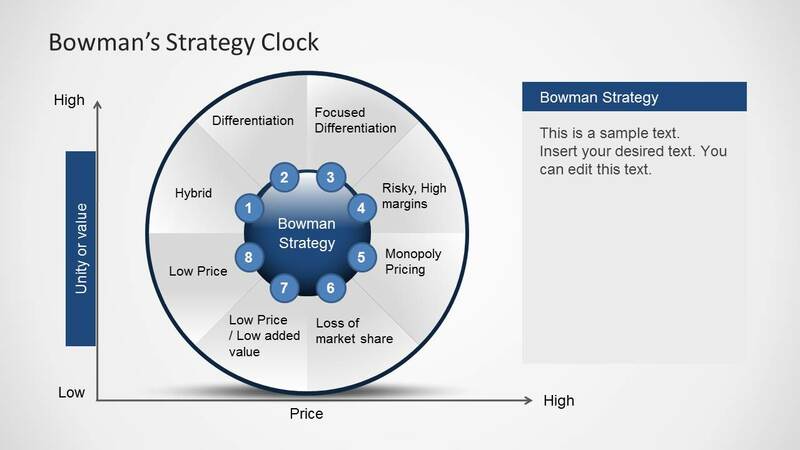 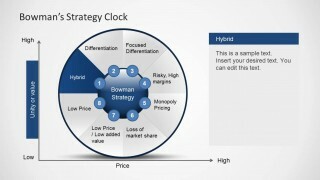 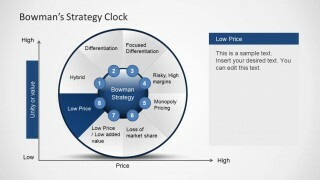 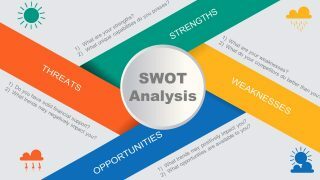 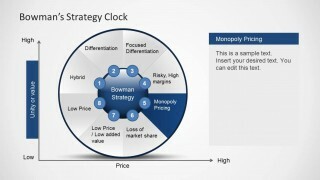 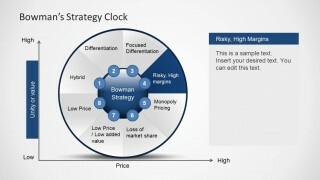 Bowman’s Strategy Clock Diagram for PowerPoint is a presentation template with the popular business model to analyze the competitive position of a company in comparison to the offerings of it competitors. 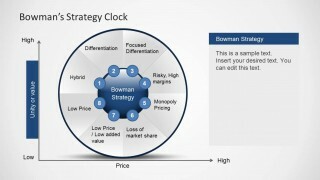 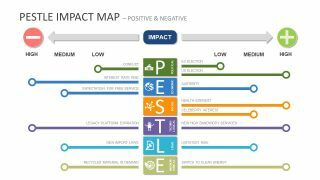 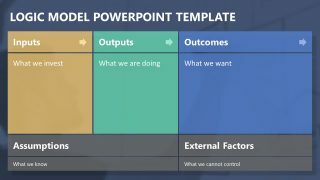 The Bowman’s Strategy Model was developed by Cliff Bowman and David Faulkner as an elaboration of the three Michael Porter Generic Strategies. 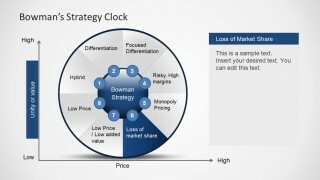 Bowman’s Strategy Clock diagram for PowerPoint represents 8 possible strategies.